Download the SUBSTITUTE LIST here. "Your faith will help you realize that it is Jesus Himself who is present in the Blessed Sacrament, waiting for you and calling you to spend one special specific hour with Him each week." Jesus welcomes everyone who comes to spend time with Him. He waits for you. If you desire to grow closer to our Lord and God, then consider spending a scheduled hour with Jesus every week. The commitment of your time to prayer will bring you closer to our Lord and give graces for yourself, your family, and the whole world. Each week from 7:30 a.m. on Monday through 7 a.m. on Friday, parishioners visit Jesus in our Divine Mercy Adoration Chapel. 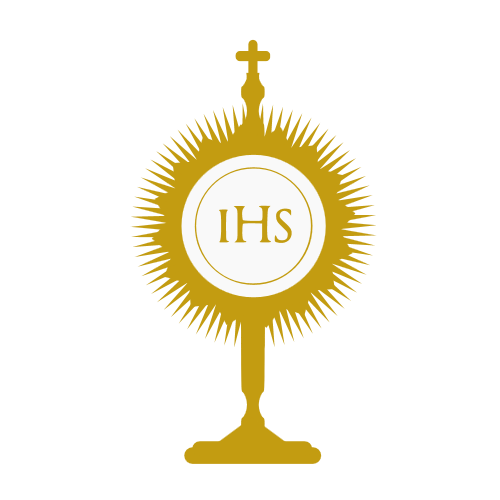 During this time, Jesus is made visible as we expose the Blessed Sacrament in a monstrance. New adorers are needed to help us expand adoration. Hours where help is needed most are always listed in the bulletin. We also welcome you at any hour that fits your schedule. Please contact the parish office and say you are willing to commit to one hour with Jesus. If you are presently adoring, click on this link to view the substitute list. If we ever need to cancel adoration due to inclement weather, it will be posted on the website homepage. Please check there first.